The Government’s charm offensive to the business community is paying off, with business confidence rebounding from the lowest levels in a decade. The ANZ Business Confidence Index, released Wednesday afternoon, reveals a net 19% of businesses are still pessimistic about the year ahead – this is down from 38% in November. Firms’ views of their own activity, which ANZ argues has a stronger correlation with GDP, lifted from 16 points to 20. “It’s hardly a gold medal performance, given the historical average is +28, but it is no longer skating on thin ice,” ANZ chief economist Sharon Zollner says. She says it’s very difficult to know how much impact things like the Government’s 100-day plan had on the numbers, but the result is “consistent with the anecdotes we’re picking up on the ground that firms have become a little more relaxed about the change in Government”. 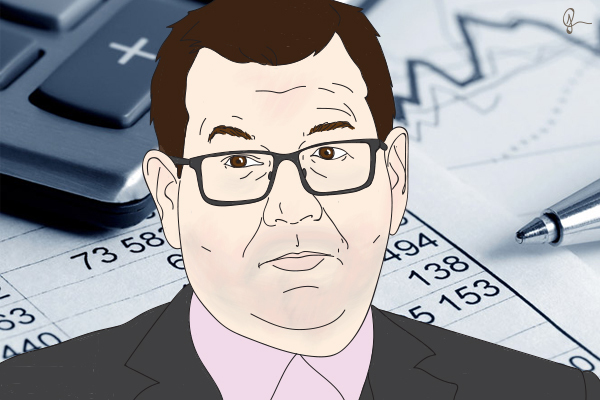 Uncertainty about the new Coalition Government was cited as reasons for the plummet in confidence in October but Finance Minister Grant Robertson has said this was not a surprising reaction. The ANZ Business Confidence Index often falls when a new Government is elected. Prime Minister Jacinda Ardern made similar comments in a speech earlier this month. She says it has probably helped that the Government has gone “all out in terms of a charm offensive for business”. She adds that the Government has been “making all the right noises about consulting and evolution, not revolution”. Zollner says the economy is not “breaking any records” at the moment, but activity indicators increased across the board – although they remain well off their highs. “A slower housing market, a small dip in net migration, difficulty finding credit and already stretched construction and tourism sectors are making acceleration hard work from here,” she says. The data shows a net 7% of firms are expecting to lift investment, up 4 points. Employment intentions are also up slightly, as are profit expectations. Given the data, combined with consumer confidence, Zollner is expecting GDP growth of around 2-3% this year. “Although we are constructive on the medium-term outlook (with incomes supported by the strong terms of trade and higher wage growth), we are conservative in our productivity growth assumptions and believe households need to rebuild their saving,” she says. She is more pessimistic about growth than the Reserve Bank and the Treasury – “growing above trend is not typical of an economy so far into the business cycle”. I dont believe a word of it ......... already some the business community that I interact with sees the 3 week rail strike as a return to the bad labour relations period of the 70's with industrial action doing real damage . The attempts to smash the perceived wealth gap with a sledgehammer and a raft of new stealth taxes is a worry . The bright -line test of 5 years for property and not alternative asset classes will distort investment decisions in favour of alternative assets when capital is in fact needed to supply housing. Jacinda is all over the place everything is out of focus and being done on the fly , is she going to be a mother or run the country ? Overly favourable treatment of property investment has helped distort things. Witness NZ's housing market. Anything that moves NZ more towards the international norm is by its very nature less distorting. My observations match Boatman I would add the new National Party line up is not being well received by the business community being perceived as considerably weakening the oppositions effectiveness in holding the Govt accountable.